Is it against their nature to leave the house without a watch on their wrist? Do they have a timepiece for every occasion? Could they explain the inner workings of watches without relying on an internet search? 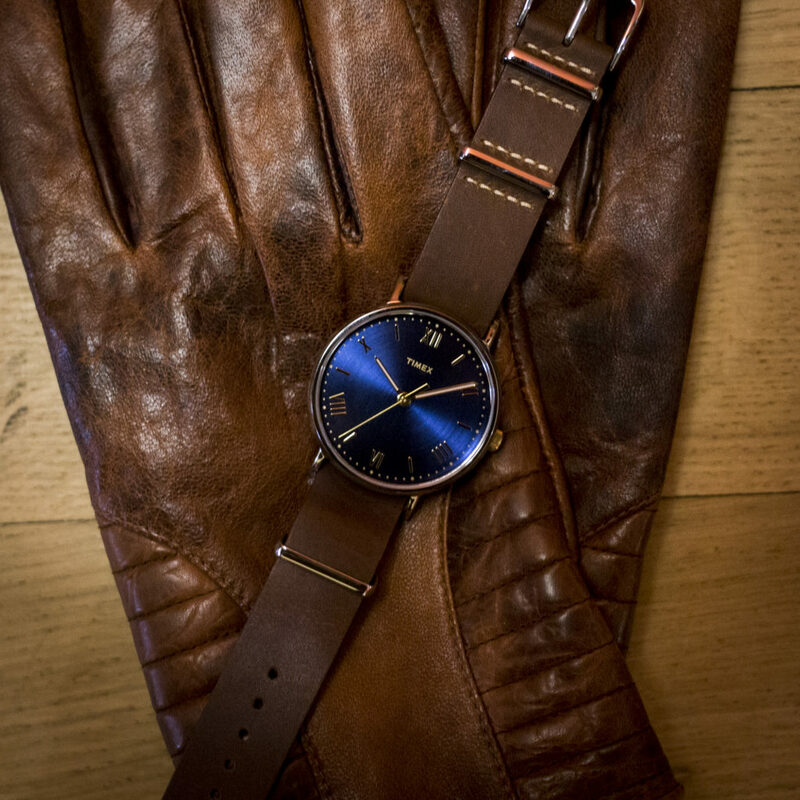 Sounds like you have a watch lover on your hands. 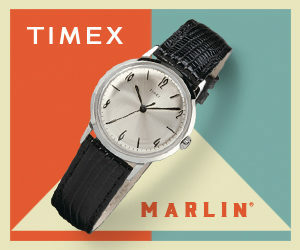 For watch lovers with a taste for vintage timepieces, head straight to the Marlin collection. The sleek mid-century design is available in the hand-wound mechanical movement for connoisseurs who will appreciate a timepiece in its original form. You can also choose an automatic movement model for contemporary watch wearers. Designed to keep up with active lifestyles, the Ironman® collection is the way to go for those who love digital watches made for adventures. Features such as alarms, timers, stopwatches, light-up dials and high water resistance make these timepieces ideal for watch lovers with an athletic side. The Expedition® collection also comprises utility watches that are as sleek and sophisticated as they are bold and durable. Even if your watch connoisseur has an extensive collection, there’s one watch they don’t already own: A customized timepiece with a personal engraving. 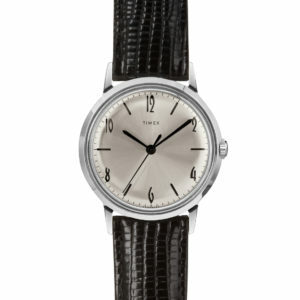 With My Timex, you can design your own watch, choosing the dial, case and strap colors and materials. If that’s a tad overwhelming, we have some combinations to inspire your own design. Add a unique message or simply include the recipient’s initials on the back of the case for a watch that’s truly one-of-a-kind. Along with watches, do they have a soft spot for Snoopy? You’re in luck because the Timex x Peanuts collection features watch face and strap designs that include lovable Peanuts characters. If they’re also an avid sports follower, shop our fan shop to select a timepiece featuring their team’s logo. 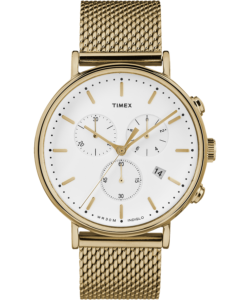 Timex Co_Labs watches are created in partnership with other designers, making them exclusive timepieces that may complement your watch enthusiast’s style perfectly. 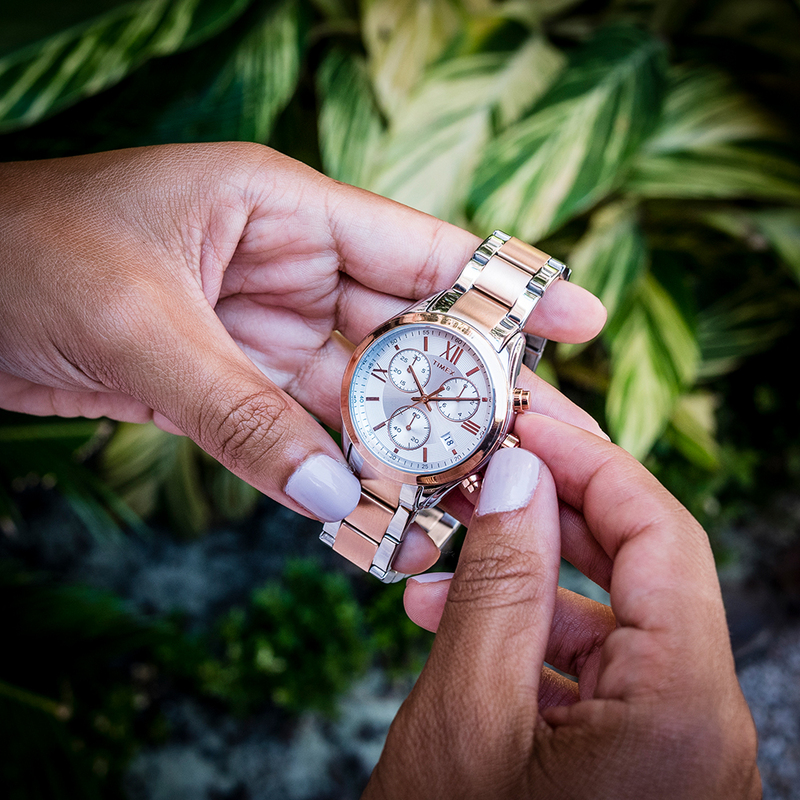 Check out our watch gift sets for both men and women for everything they’ll love in a holiday gift. The sets come with a watch and an extra strap, all wrapped in a sleek box that’s ready for giving. Perfectly tuned to their appreciation for high-quality and good-looking timepieces, these gifts for watch lovers are sure to please this holiday season. With the rise of unisex fashion, the gender divide between clothing and accessory options is slowing fading away. 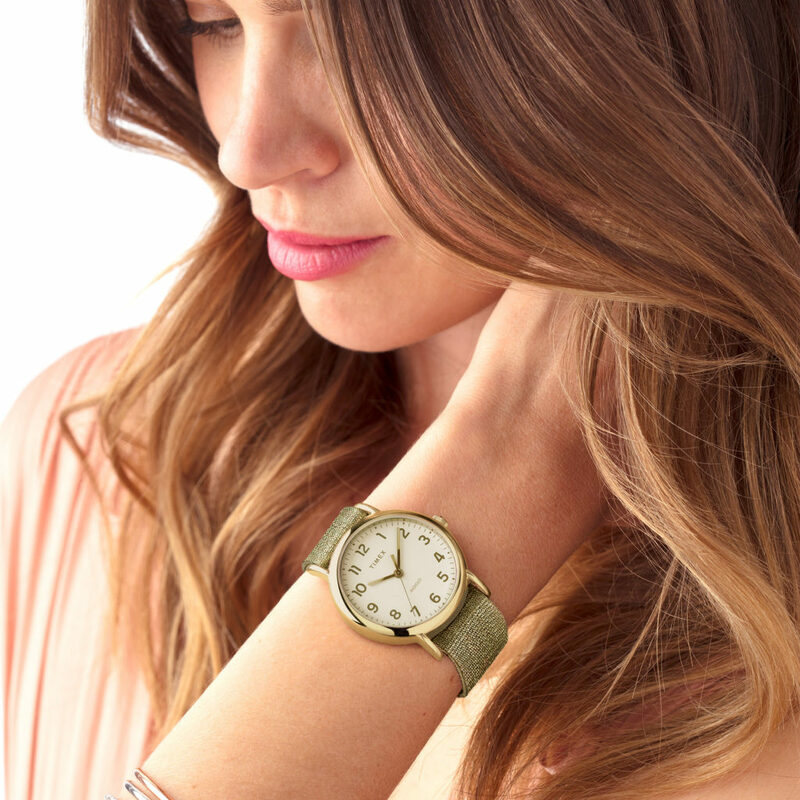 When it comes to watches, women shouldn’t be confined to smaller watch faces and dainty straps. In fact, many women prefer men’s watches to those designed specifically for female wearers, making it an accepted and growing trend. As we see unisex styles continue to permeate the fashion world, women should no longer feel obligated to follow traditional watch-wearing rules. Many watch brands are even releasing more gender-neutral designs for unisex watches made for any wearer. The idea is to choose the watch that catches your eye and suits your preferences, regardless of who the designer originally intended to wear it. Why do many women prefer wearing men’s watches? Many women are drawn to men’s watches because of the statement that the larger watch faces make in comparison to the traditionally petite designs of women’s timepieces. The bolder lines and thicker bands also provide a striking contrast to more feminine clothing or jewelry. 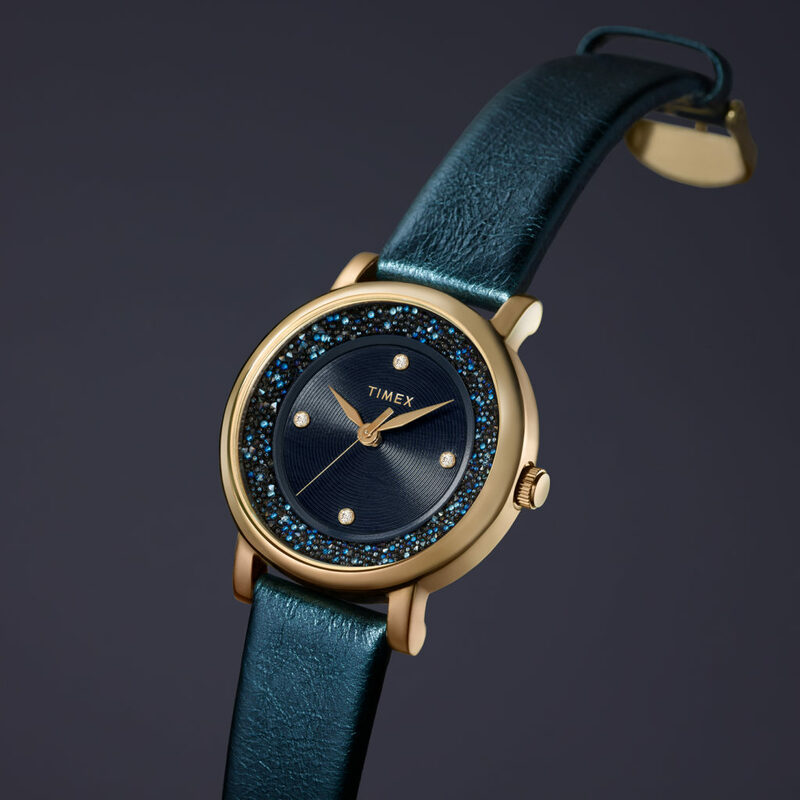 Women who are drawn to vintage watch styles may also gravitate toward men’s watches, as watch brands tended to focus primarily on men’s collections in the past. 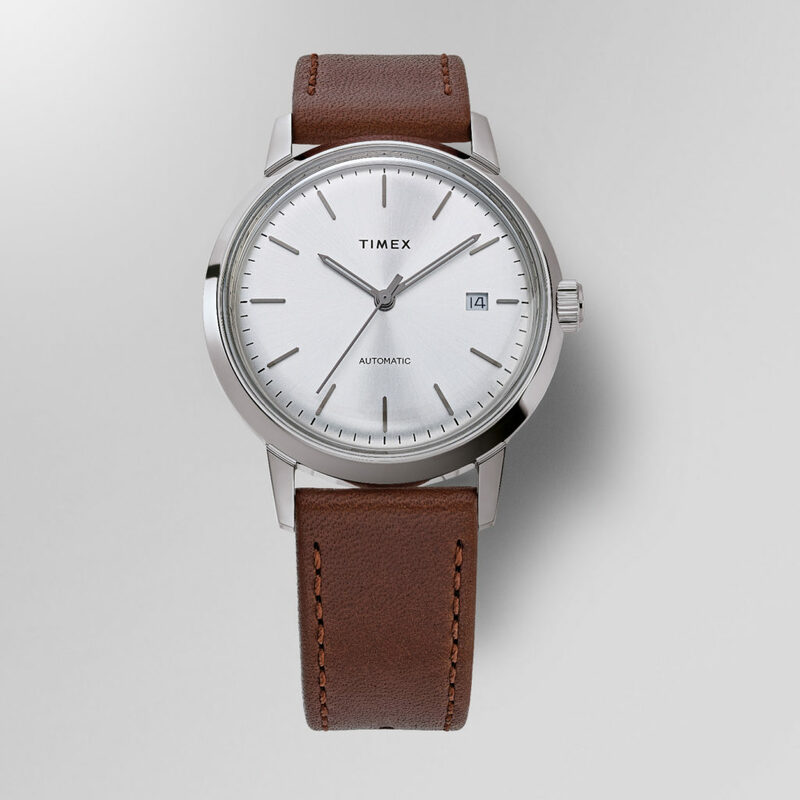 This classic feel of a men’s watch also gives these timepieces a universal appeal. 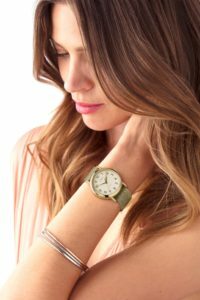 Women wearing men’s watches is not necessarily a new trend, as many female celebrities have been known to sport classic men’s designs over the years. Additionally, menswear-inspired fashion trends began to adopt “boyfriend” in the labeling, such as the loose-fitting boyfriend jean cut. 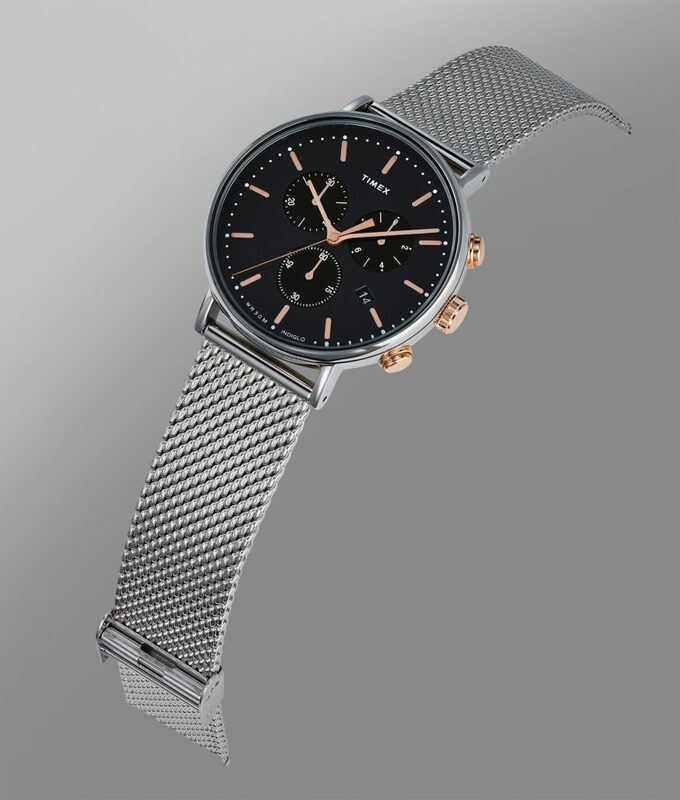 While boyfriend watches often have the sporty and chunky feel that’s more characteristic of a men’s watch, they are still designed with women wearers in mind. 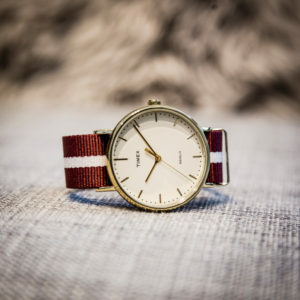 Unisex watches, on the other hand, are designed more so for any kind of wearer and serve as a welcome response to so many women preferring men’s designs. What are the Timex picks? We gave our classic military-inspired timepiece a West Coast upgrade with bold pops of color. 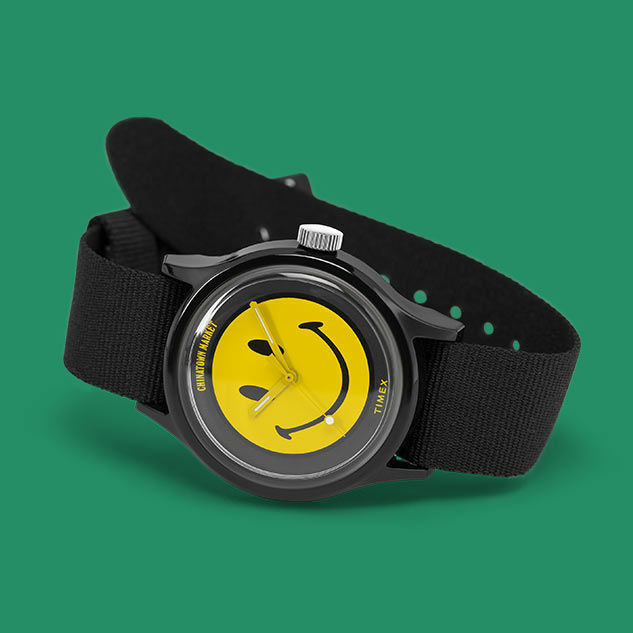 With six color combinations to choose from, this unisex watch has an aluminum case and fabric strap for a lightweight feel and all-day comfort. This collection of casual timepieces features plenty of style and color options to suit any watch wearer’s preferences. 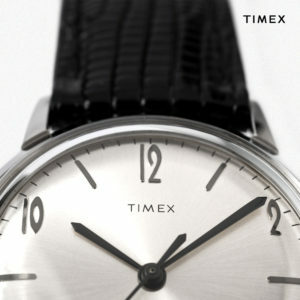 If you already have your ideal timepiece in mind, consider designing your own watch with MyTimex. Start by choosing your favorite model, and then you have free reign to select your dial design, case color and strap material. 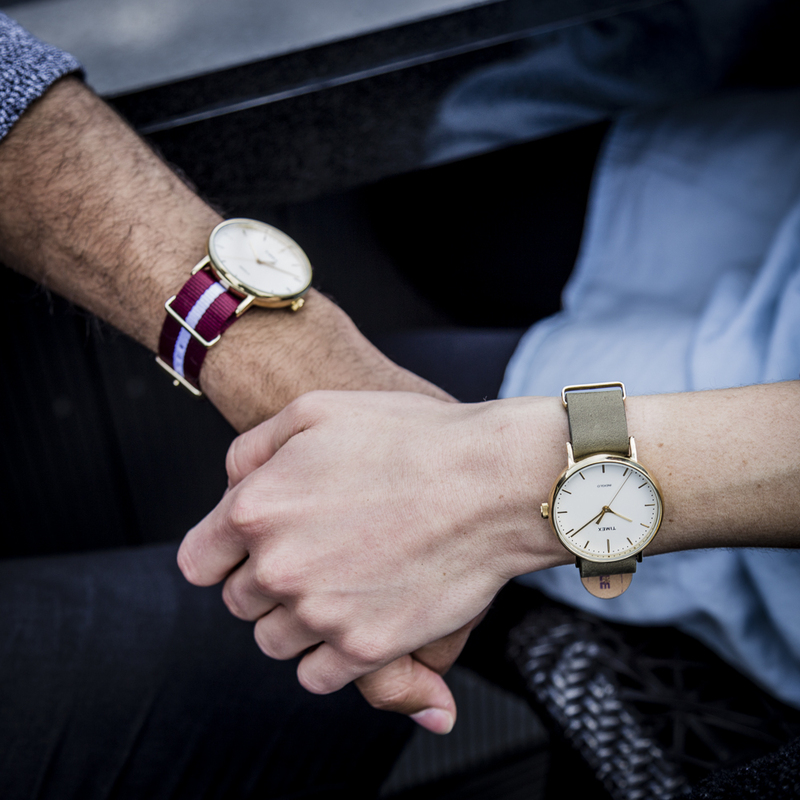 In the spirit of unisex watches and gender-neutral fashion trends, you can embark on your watch search without any limitations on the design that’s right for you. You’ve mastered the boyfriend jeans and oversized button-down style, but does your wrist companion match the look? The boyfriend watch is a timepiece designed to wear large for a confident and edgy finish. Far from delicate, these durable watches are made to keep up with your bold ambitions and go-getter spirit. The Fairfield Chronograph 41mm Leather Strap Watch makes a sleek statement on your wrist, designed with minimalist Bauhaus influences. 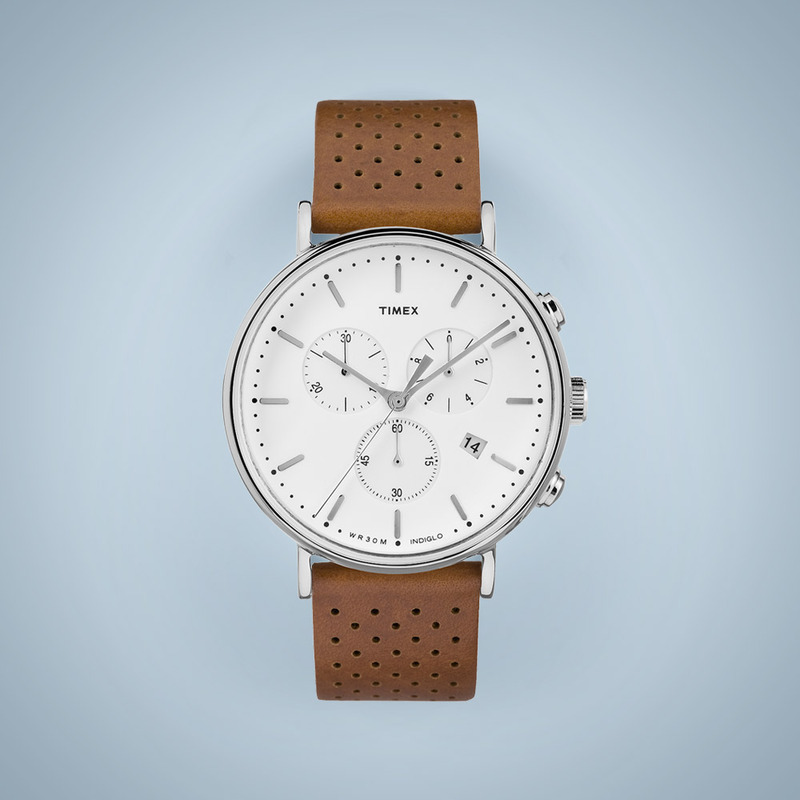 While a multifunction chronograph watch, it’s still tastefully simple, complete with the sophisticated detailing of the perforated leather band. Choose from the suave all-black timepiece or the tan strap with a contrasting white watch face for a bold yet neutral accessory. 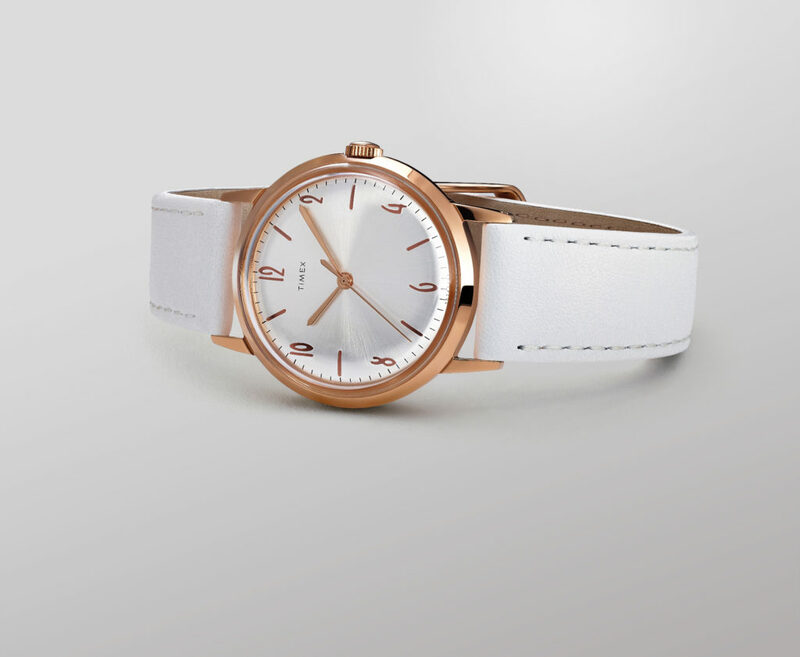 Either will get along with the rest of your closet, making the Fairfield an ideal everyday watch. Designed to easily change the straps to match seasons, moods and looks, the Weekender® Chronograph makes managing versatile watch styles an effortless endeavor. Plus, when you get the Weekender Chronograph 40mm Leather Strap Watch Gift Set, you’ll already have two straps to wear: one smooth and sophisticated leather band and another casual and comfortable fabric strap, both complete with durable clasps and buckles that complement the watch case. And when you’re ready for more, we have plenty of Weekender straps to choose from. Premium style meets precise craftsmanship in a timepiece that features modern design and multi-function movement. The Southview Multifunction 41mm Leather Strap Watch evokes a distinguished style that complements your office looks, weekend denim and even your evening glitz. Choose from a sleek black genuine leather strap with a silver-tone case or go for a pop of rich color with a blue strap contrasted by a white face and silver-tone dial. Alternatively, meet in the middle with a neutral tan strap and rich blue watch face, complete with a two-tone dial and case. If you’re an outdoor adventure seeker, the Expedition Scout Chronograph 40mm Leather Strap may be just the boyfriend watch for you. It has the rugged aesthetic to match your hiking boots and adventurous spirit, plus features an INDIGLO® night-light, sports stopwatch with 30 lap memory, countdown timer, customizable alarm and water resistance up to 100 meters for easy, no-nonsense timekeeping and activity tracking. It’s a well-crafted, trusty companion that’s always up for an escapade. If you love a stainless steel timepiece with a hint of glamor, the Miami 38mm Bracelet Watch will suit your style. Swarovski crystals add a welcome touch of shimmer to the watch case, while an adjustable stainless-steel bracelet keeps up the shiny, sophisticated look. Also available in gold and duo tones, the Miami watch is ready to take on the day – and of course the night. 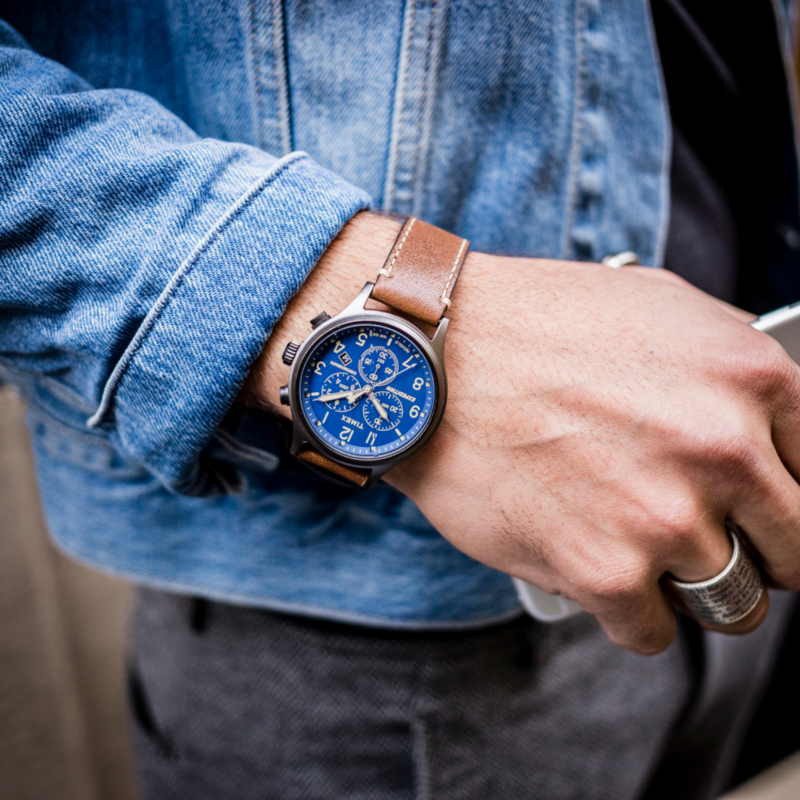 Bold lines and large watch faces are no longer exclusive to men’s fashion. Wear your watch your way with the boyfriend watch that suits your style and flair. Are you ready for the weekend? Or maybe the more accurate question: Is it Friday yet? As you start prepping for a couple of days of exciting plans, the ideal wristwatch can help you look the part no matter what your schedule entails. You’ve certainly got the weekend on your mind – but have you also thought about the type of watch you’re looking to buy? 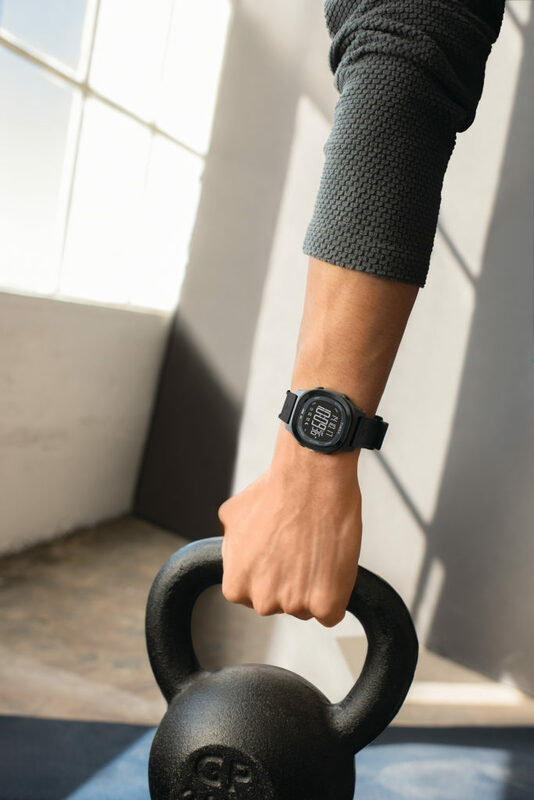 Tough, sleek and polished with the best of fitness tracking features, sports watches are one way to go – perfect for those who spend their weekends exploring the outdoors or working on their gains at the gym. Dress watches stand the test of time when it comes to dates and celebrations, while casual timepieces suit relaxed weekend plans like brewery tours or moseying around downtown. Maybe one of each? Who knows where the weekend will take you. While watch strap and case materials are often a personal preference, there are certain factors that may help you narrow your decision. If budget is at the top of your mind, remember that watch prices vary by the type and quality of materials. As far as aesthetics go, many watch wearers tend to reserve their leather bands for the work week and take out watches with casual fabric straps for laid-back weekend activities. In the spirit of having a new watch for every weekend adventure, you may want to choose one that offers interchangeable straps. That way, you can stick with the same watch face yet switch up the entire look by simply trading out the wristband. This is also a nifty way to transition a watch from weekdays to Friday night and beyond. If you’re loading up the coolers and heading out for a weekend by the pool or on the boat, you’ll want a water-resistant timepiece that can withstand the splashes. When you plan to be out late, light-up watch dials make it easy to check the time after the sun goes down. Weekend travelers may be inclined to opt for time zone and date features to keep track of their journeys. Regardless of the features you want, it helps to narrow your search with your must-haves in mind. Many of us take advantage of the weekend to wear the items in our wardrobes that don’t quite fit the office requirements. Depending on what’s on the books, you’re free to wear anything from your favorite casual denim with the distressed finishes to your snazzier looks for a night on the town. Keep this in mind when shopping for your weekend watch, thinking about what you would wear for your weekend plans and looking for the timepiece to complement those looks. 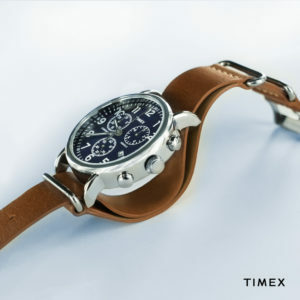 Named after everyone’s favorite days of the week, the Timex Weekender® is casual yet refined, simple yet fun and just as ready for the weekend as you are. Plus, you can easily change the straps for that versatile timepiece your assorted weekend plans demand. How old were you when you started donning a timekeeping companion? Do you remember who gave it to you? What color was it? A kid’s first watch can be a pretty big deal, as it feels like a symbolic transition into adulthood – and a great way to show off time-telling skills. What’s the perfect age for a child’s first watch? It usually coincides with when they’re learning to read clocks and beginning to understand the concept of time. According to Scholastic, time begins to become less abstract around age 5, when kindergarten students begin to interact with calendars and clocks in the classroom. However, Parents Magazine pointed out that while they begin to grasp hours, minutes and seconds, kids often don’t master reading an analog clock until around 7 or 8. As such, any time after their fifth birthday is typically a good time to introduce them to their first timepiece, but there’s nothing wrong with getting them started even earlier. Much like the difference between automatic and manual cars, digital watches are inherently easier to read than analog clocks. However, that doesn’t dismiss the importance of traditional time-telling skills. Analog watches for kids are a great learning opportunity, helping them master basic mathematical concepts. As such, you may want to consider sticking with analog for their first watch, allowing them to master traditional time-telling before getting them a digital one. While watches may make them feel like grown-ups, they still need a watch that’s tough enough to handle active lifestyles and curious minds. Number one on your list of kid-friendly features should be water-resistance. That way, washing hands, running in the sprinklers or spilling drinks won’t be cause for tears when their watch stops working. The best watches for kids also have adjustable watch straps, perfect for growing bodies. Washable strap materials, such as nylon, are even better for combating inevitable messes. Easy-to-read and light-up dials are also a welcome bonus as they support their increasing time-telling skills, while fun graphics and bright colors often capture the imaginations of little ones. 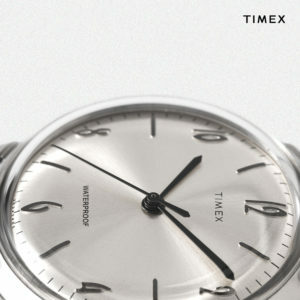 At Timex, we know that even the most well-intentioned kids are bound to encounter watch troubles. That’s why we offer a 100% worry-free replacement plan for Timex kids watches in the event that theirs is lost or broken. 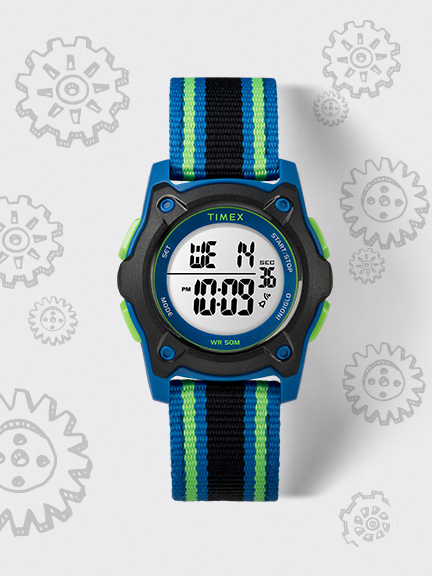 When you choose Timex kids watches, you can also download our free app, developed with Scholastic, which allows your kids to practice and understand time-telling with their watches and within the engaging world of the Timex Time Machines™ app. Modern watchmakers create fantastical designs your kids will love, featuring many of their favorite colors, animals and characters. 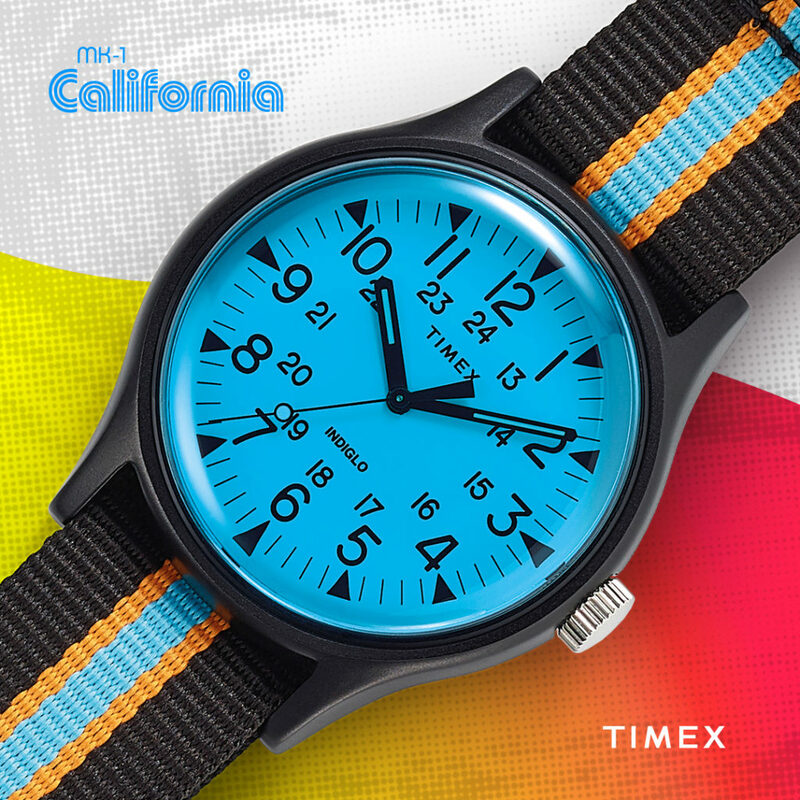 At Timex, you can choose from kids watches with strap patterns like colorful stripes, unicorns, sharks, flowers, underwater characters and sports symbols. Select styles even have colorful dial markings and rotating graphics. Spend some time online with your child, letting them help you choose their first watch. If it’s a surprise, trust your best judgment. No one knows your little guys and gals like you do. Keep these considerations in mind when buying a watch for your child, and watch them fall in love with their timepiece. faYour alarm goes off and for once, you don’t press snooze. That “big day” feeling hits you, filling you up with energy and excitement for what’s to come. Maybe it’s an interview for your dream job or the kind of cocktail party that celebs attend. You finally scored tickets to “Hamilton” and you’re treating your better half to a decadent dinner before the show. It’s time to get ready – is your wardrobe prepared for your swanky plans?